Tracy Wilde, rising celebrity pastor who helped launch the LA Bible Study in Hollywood, reflects on the absence of empathy in today’s world and shares how Christians can renew their compassion to help unify not only the church, but society as well. 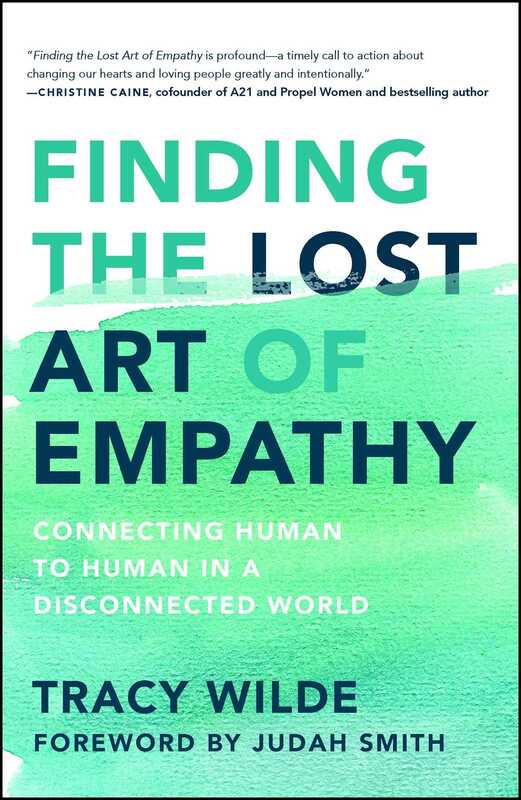 In Finding the Lost Art of Empathy, Tracy Wilde addresses the reasons why we struggle with showing empathy toward others and explains why we ultimately avoid it—and even avoid contact with others altogether. She explores the different facets that have promoted isolation instead of community and provides the antidote for a more unified, loving, and empathetic society. In this book Wilde hopes to inspire all of us to self-reflect and remove those obstacles from our lives so that we can experience true fulfillment in our relationships—the way God intended us to. Tracy Wilde is a fifth generation pastor and preacher. Her great-great grandmother Taylor was a circuit preacher. Tracy’s fresh and honest message helps break down walls of insecurity and encourages people to find hope and purpose in Jesus alone. She has a bachelor’s degree in political science and a master’s of divinity degree in practical theology. Fresh out of college Tracy was offered a job in the Governor’s office of her home state and later moved to Capitol Hill in Washington DC, where she helped lead Bible study groups for congressional leaders, their families, and staff members. After finishing seminary, Tracy moved to Los Angeles, CA, where she helped pioneer and pastor for a Bible-study-turned-church for young Hollywood. Tracy loves wake surfing, paddle boarding, and basically anything else that has to do with warm weather and water. "I love Tracy’s heart for people! Her honesty and vulnerability in Finding the Lost Art of Empathy will have you turning the pages for more. She challenges you to find empathy with people in a world that is so disconnected and unengaged. This book will have you ready to live fearlessly and shamelessly to bring the love of Christ to the world!"